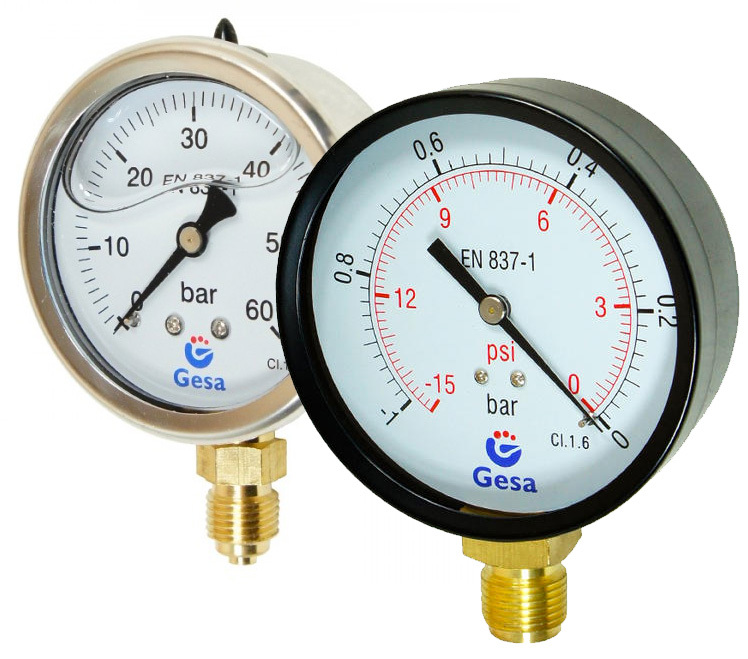 Navitech Gdynia Ltd. is exclusive representative of Spanish company GESA, a manufacturer of pressure gauges, thermometers, vacuum gauge, infrared thermometers and other measuring devices. In our offer you will find straight and angular thermometers in many size variant and temperature ranges, thermometers, manometers dry and glycerin and vacuum-meters. It allows pressure measurement from -1 up to 1000 bar, radial connecting or rear wheel with flange or without. Our devices are used in heating industry, gas engineering industry. cooling industry, ventilation industry and railways industry. All of them have calibration certificates issued by the manufacturer. On the Measuring devices market we are consistently from almost 15 years, we guarantee the highest quality products, professional service and continuous support in purchasing.